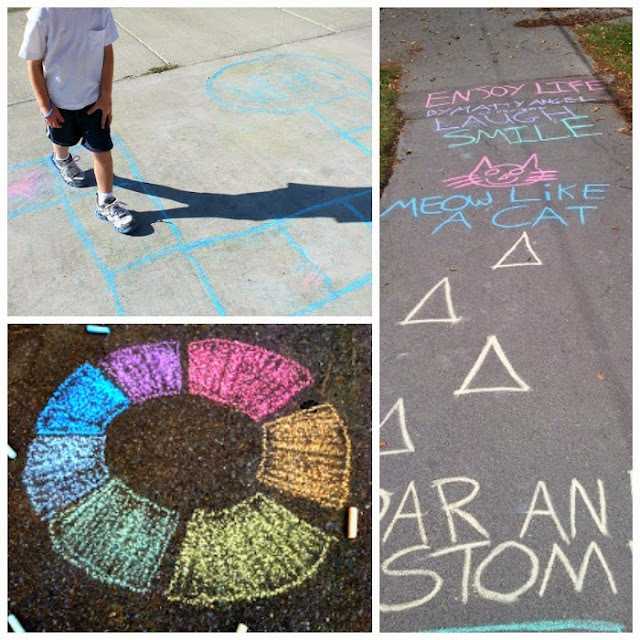 Nothing says "SUMMER" like sidewalk chalk! 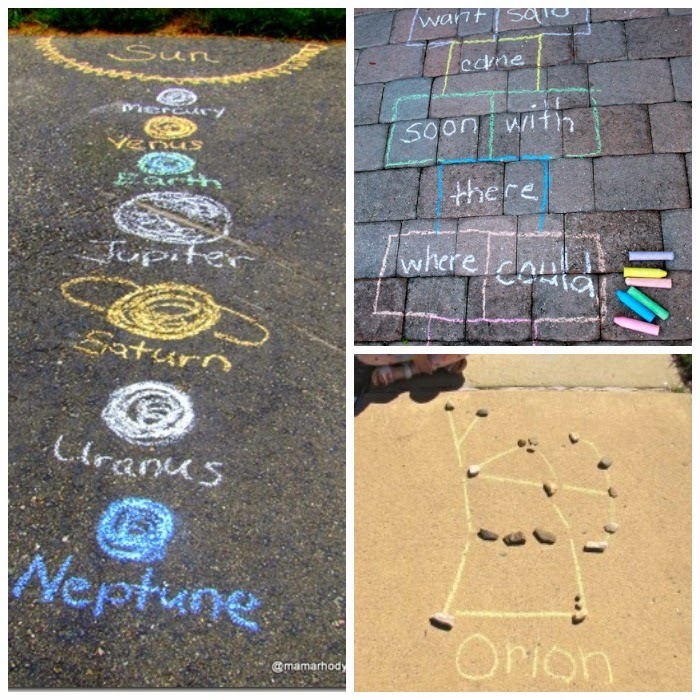 My girls could spend hours with sidewalk chalk-- they love having a GIANT canvas on which to work, and we love finding new ways to play. I've gathered the best of the best ideas for you here. 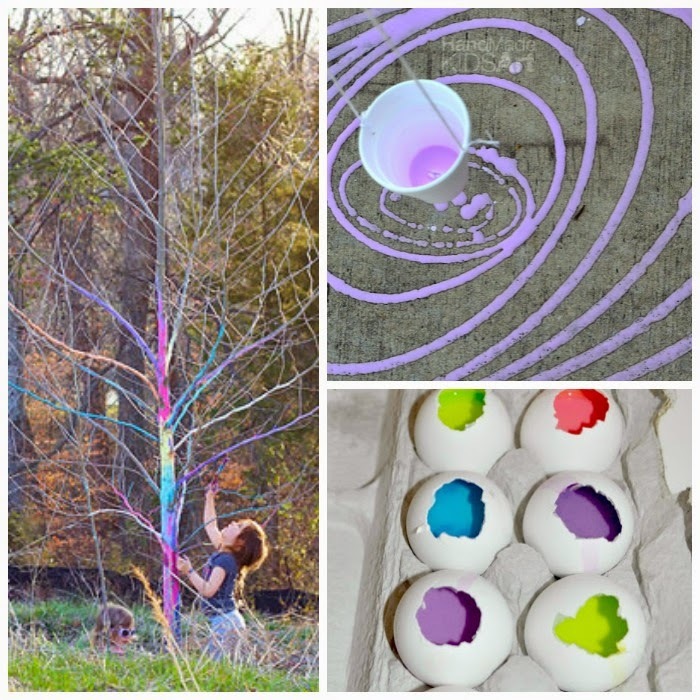 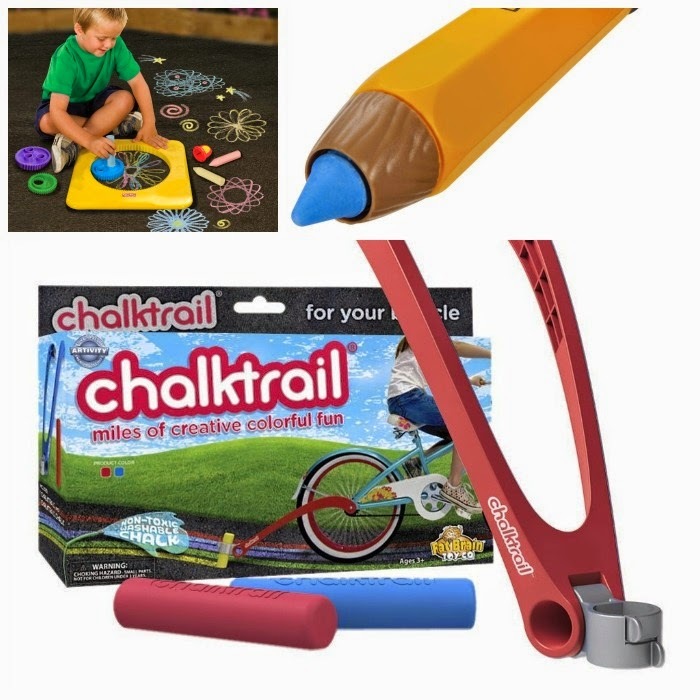 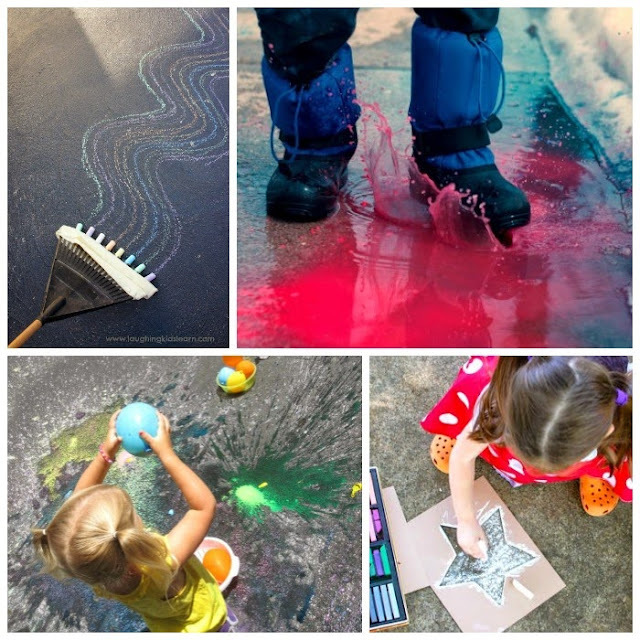 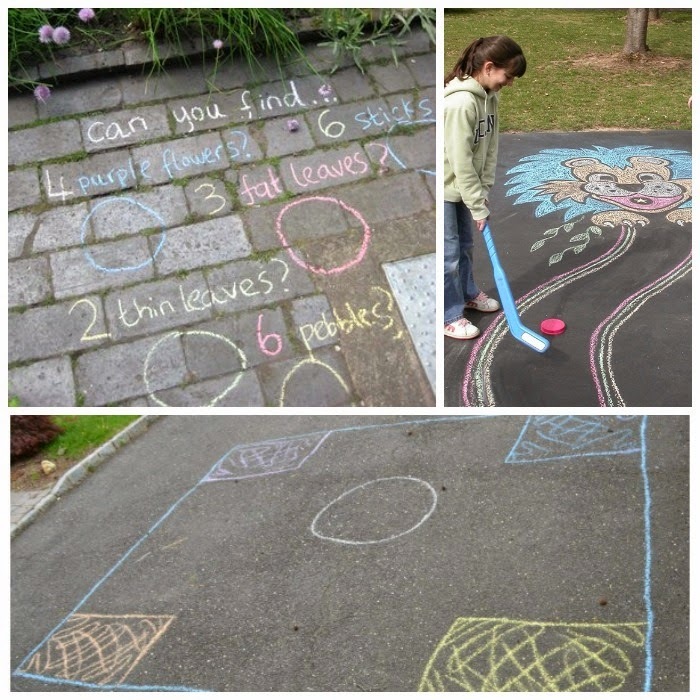 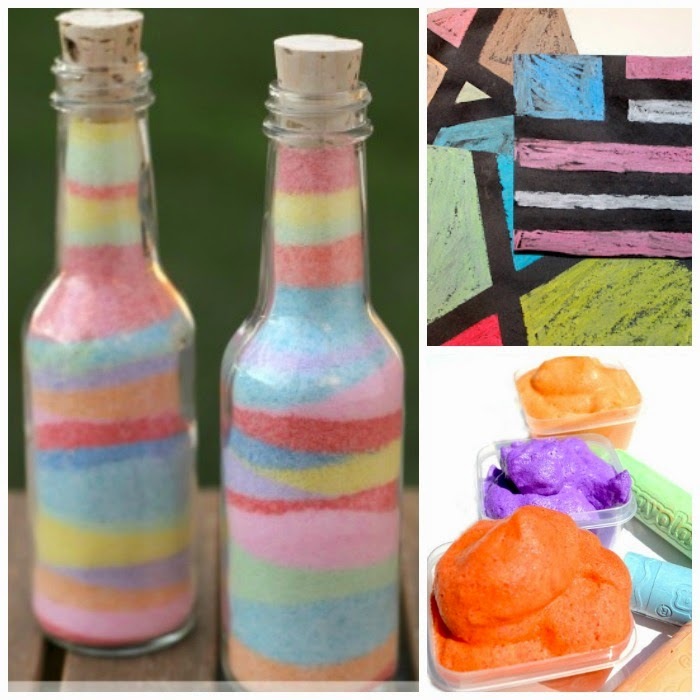 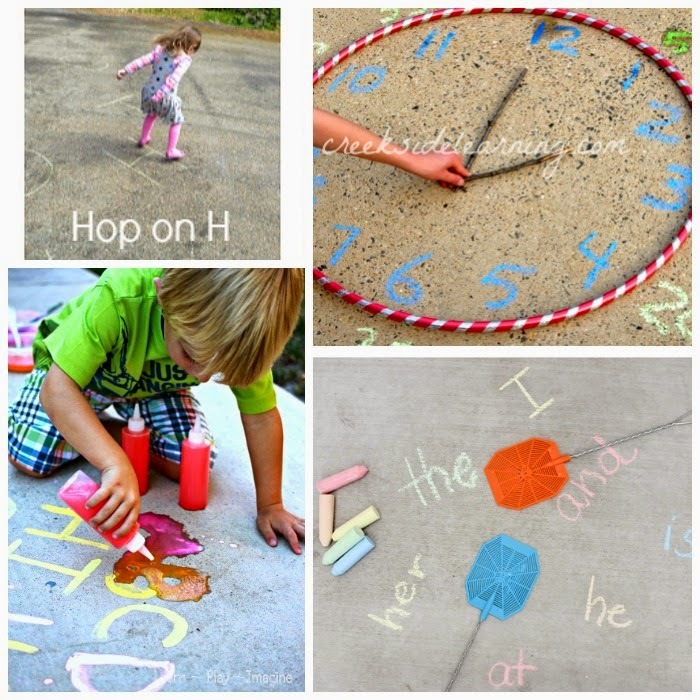 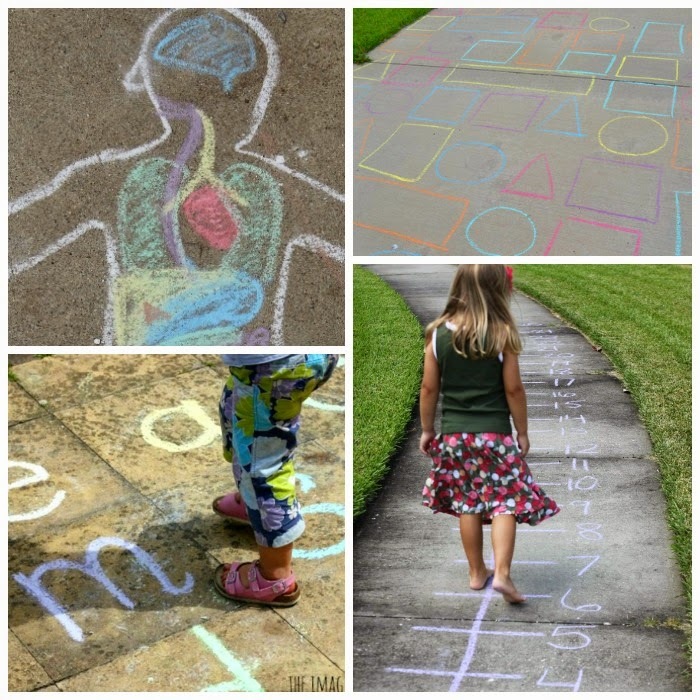 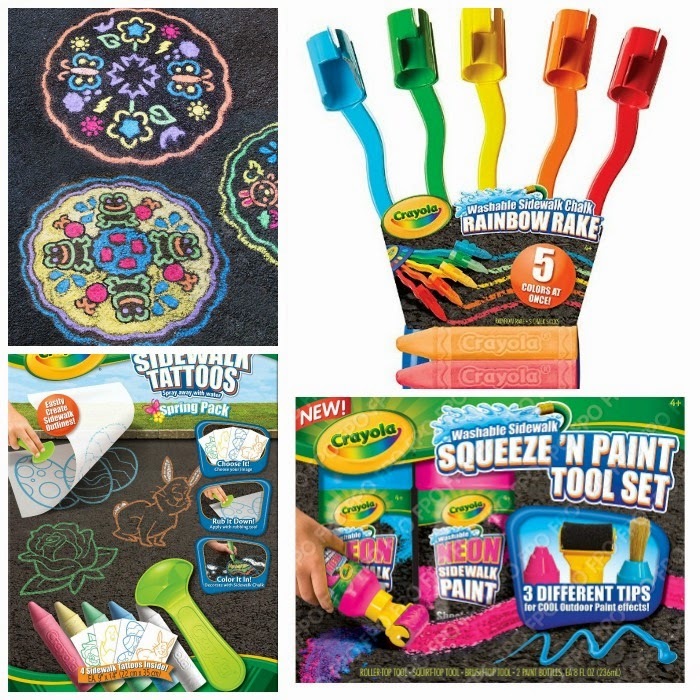 You'll find recipes, ways to play, ways to learn, awesome art projects, and even some fun toys that will kick your chalk play up a notch. 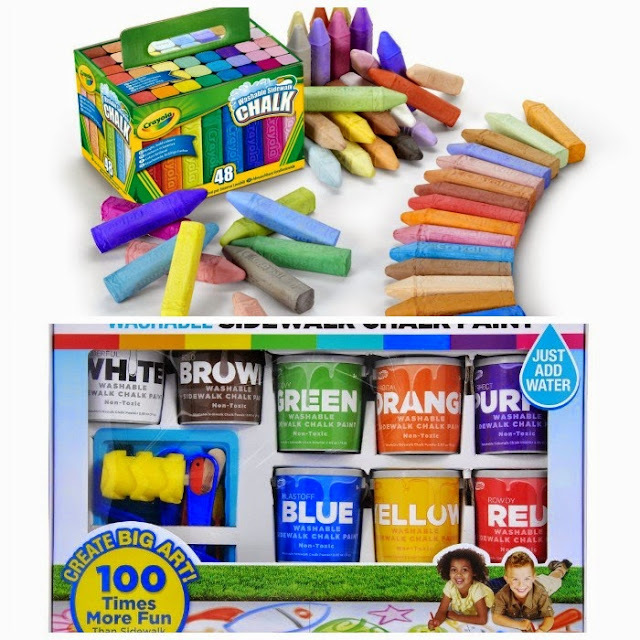 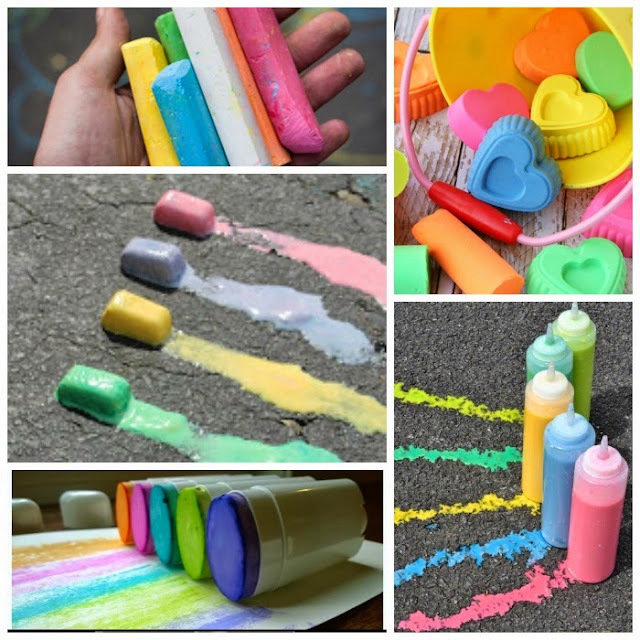 Get ready for a whole lot of chalk fun! 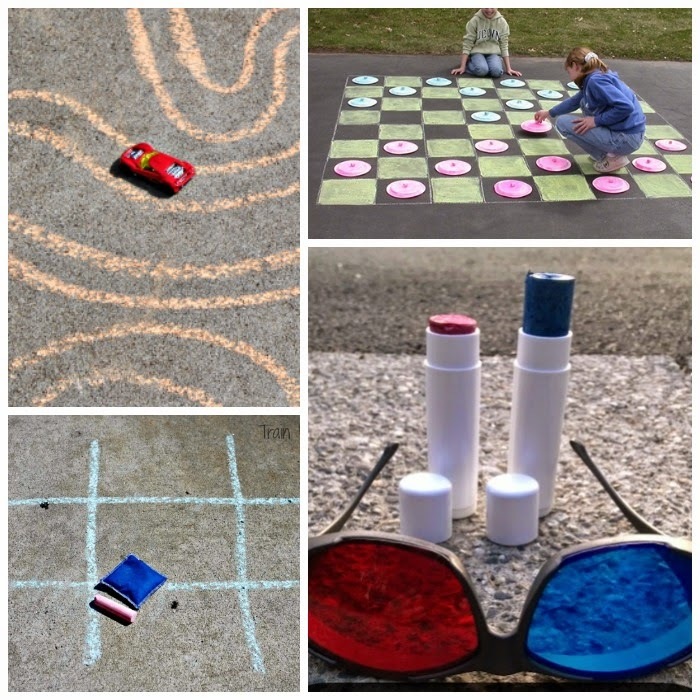 Some of the amazing bloggers of the Kid Blogger Network have teamed up to bring you dozens of tremendous summer resources! Be sure to visit all of the ideas below! 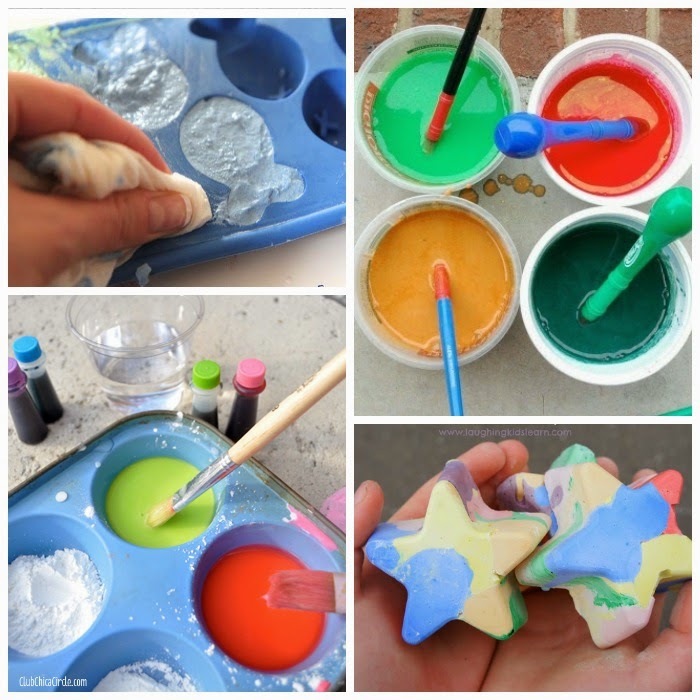 10 Summer Snacks for Kids to Make - Fun-A-Day! 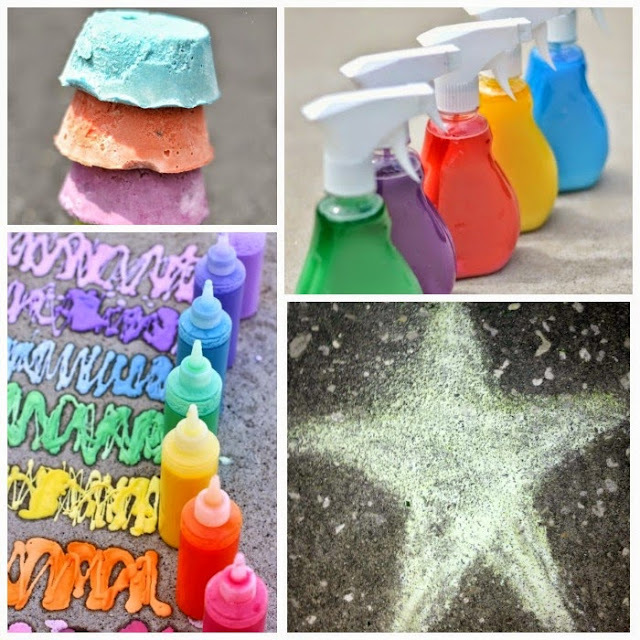 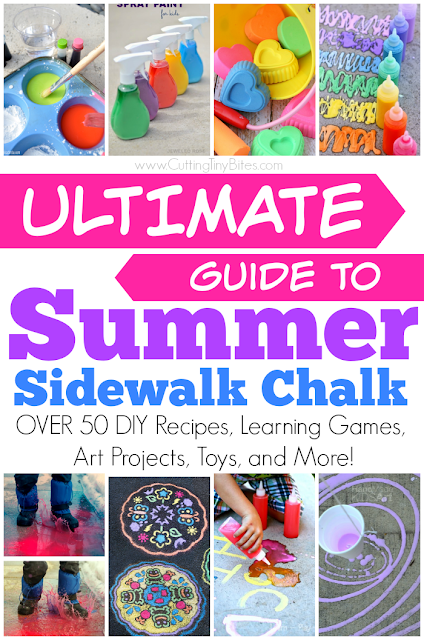 Ultimate Guide to Summer Sidewalk Chalk. Tons of Activities for Kids -- DIY Recipes, Learning Games, Playful Games, Art Projects, Indoor Options, Toys, and More!